Article by Writing IE Admin © 10 August 2018 Writing.ie . The competition is open to authors of any nationality writing in English. The word limit is 500 for flash fiction, 40 lines for poems. Work submitted should not have been previously published nor have won a prize in another competition. Entry is by post only. Entries must be typed, on A4 paper, single sided only. Please send entries, accompanied by a cheque and cover sheet, to Bray Literary Festival Competitions, 9 Martello Manor, Bray, Co Wicklow, A98 T389. There is no entry form. Please complete a separate cover sheet including all your contact details and titles of entries. Do not write your name or provide any other form of identification on the entries. Please do not enter more than one poem or flash fiction on a single page. Entry fees are €5 for a single entry, €10 for three entries. These may be to either category, ie, categories can be mixed. All cheques must be in euros, payable to Bray Literary Festival. Work will only be accepted if accompanied by a cover sheet and fee. If you require acknowledgement of receipt, please include a stamped addressed postcard. Entries must be received no later than 5:00 pm on Friday August 31st 2018. We regret that we cannot accept entries received after this date. Manuscripts cannot be altered after submission. The copyright will remain with the winning authors. 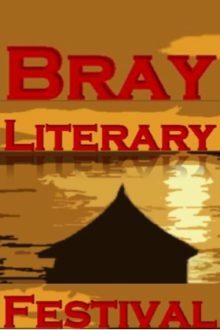 Acceptance of a prize will indicate the author’s agreement to their work being published on the Bray Literary Festival website. Winners and runners-up in each category will be invited to read at the prize-giving event in the Town Hall, Bray, on Culture Night, Friday Sept 21st. Shortlisted authors will be notified by email and will be invited to the prize-giving event. A shortlist will be published on the Bray Literary Festival website in early September 2018. Manuscripts will not be returned. The entry fee is non-refundable.